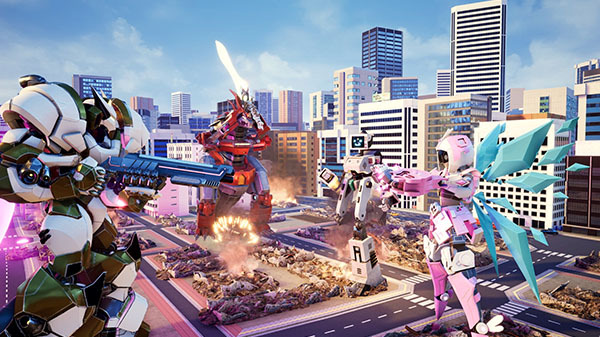 Publisher Modus Games and developer The Balance have announced 3D mech-based brawler Override: Mech City Brawl for PlayStation 4, Xbox One, and PC. It will launch on December 4 in a $29.99 / £24.99 digital-only standard edition and $39.99 / £29.99 physical and digital Super Charged Mega edition. The Super Charged Mega Edition includes the Season Pass, which will add four extra playable mechs and 16 new skins post-launch, as well as instant access to 12 legendary skins normally unlocked in the Standard Edition. A closed beta will be held from August 10 to 12. Sign-ups are available now at the game’s official website.